"Well, sorry, the British Pakistani-Bangladeshi community, certainly where I am, has issues about women's roles in a family, in society," she was quoted as saying by 'The Times'. Labour MP Jess Phillips said the practice was among "lots of cases" she had dealt with. London: A UK MP has criticised some British-Pakistanis for reportedly "going and getting a wife from abroad" for their disabled sons. 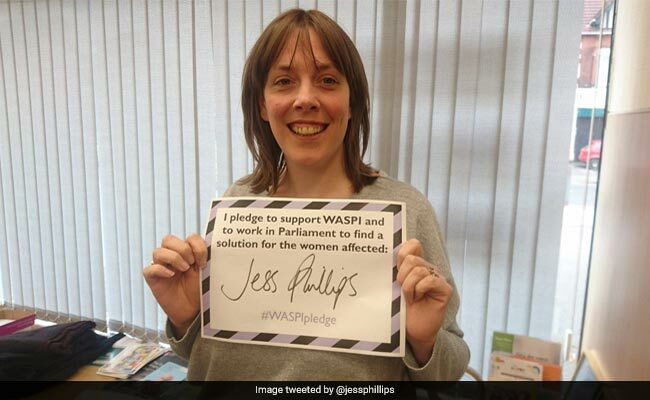 Labour MP Jess Phillips said the practice was among "lots of cases" she dealt with where people from Pakistani and Bangladeshi communities behaved "unacceptably" towards women. "That's the truth. Not all of them, obviously. But I have lots of cases on my books. The acceptability of going and getting a wife from abroad if your son is disabled, for example. As if he deserves to have a wife and we'll just get one from Pakistan. That's not okay in my book," she said. She made the comment in reference to her Labour party colleague, Sarah Champion, who quit as shadow equalities minister after writing in 'The Sun' about Pakisani Muslim men abusing white girls. Phillips believes Champion's piece was crudely phrased: "I can understand why Naz Shah [a fellow Labour MP] was like, 'Hang on a minute, you're talking about my sons here'". But she laments that Labour leader Jeremy Corbyn did not broker a deal so that Champion could stay because "it makes it look like we sweep this stuff under the carpet and it gives more power to people who go, 'It's political correctness gone mad' and that people like me are trying to protect the perpetrators". The Ann Craft Trust, which works with the learning- disabled, said there was a "serious problem" of British Asian people with learning disabilities being forced into marriage without giving their proper consent. Around 10 per cent of cases reported to the government's forced marriage unit, 140 a year, concern people with learning disabilities. Research for the trust found that the vast majority involved people of Pakistani, Bangladeshi and also Indian origin. Rachael Clawson, assistant professor of social work at Nottingham University, who is studying the issue, said: "We will see people trying to use this to get people in as a loophole. But the most common situation is that families really think they are doing their best for their [disabled] son or daughter by getting them a carer".